Over 300 Girls Clubs with a membership of over 20,000 girls between the ages of 5-16, living in both rural and urban areas throughout the country. provides school fees to girls whose families cannot afford to send them to school, and membership in the Girls Clubs where counseling, peer-to-peer support, leadership training, and HIV/AIDS prevention education take place. In line with its community social investment program, Econet has established the Joshua Nkomo Scholarship Fund (JNSF), a pan-African scholarship fund for academically gifted Zimbabweans to pursue their high and tertiary studies at local secondary schools and universities. Ten deserving students from each province will receive the scholarships annually, and half of these scholarships will be reserved for women. Award of the scholarships will be irrespective of race or financial background. Prospective applicants must take note of the following: 100 scholarships per year will be awarded – ten per province. They are warded to students at two levels of the education system: Lower Sixth (post ‘O’ Level) 50 scholarships and First Year University (post ‘A’ Level) – 50 Scholarships. The Government of the Czech Republic offers scholarships within the framework of its Foreign Development Assistance in support of the study of foreign nationals from developing countries at public institutions of higher education in the Czech Republic. Follow-up Master study programs or Doctoral study programs in the English language. The scholarship covers all necessary costs related to stay and study in the CR. The scholarship amount is regularly amended. Currently the amount paid to students of a Bachelor’s, Master’s or follow-up Master’s study program stands at CZK 14,000 per month, whereas the amount paid to students of a Doctoral study program stands at CZK 15,000 per month. The above scholarship amount includes an amount designated for the payment of accommodation costs. Our goal is to raise transformational leaders to influence change on the African Continent. The MasterCard Foundation Scholars Program at KNUST provides academically talented yet economically disadvantaged young people in Ghana and Africa with access to quality and relevant university education. It embodies an array of mentoring and cultural transition services to ensure student academic success, community engagement and transition to employment opportunities which will further social and economic change for Africa. The MasterCard Foundation has partnered with Michigan State University to provide full tuition scholarships to undergraduate and graduate students from Sub-Saharan Africa. Through financial, academic, social and post-graduation support, The Scholars Program will ensure that young people are equipped with the skills and competencies needed to spur economic growth and social development in their respective countries of origin. International Scholarship Program for Africa (4). VALUE: $100,000 ($25,000 x 4 years). Must be citizen of an African country. To renew — maintain high academic standing (7.8 on a 9-point York scale) in each academic year at York. 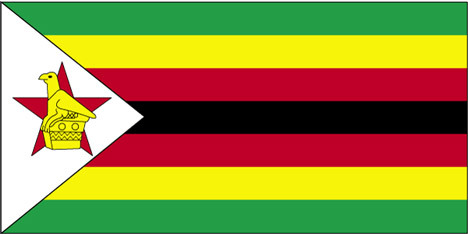 for Theological Education in Zimbabwe provides an opportunity for donors to make contributions to a permanent fund that will allow the United Church of Christ in Zimbabwe to grant scholarship support for students studying for the ministry. The first priority for the use of distributions from the Crosby Scholarship Fund is to provide support for UCCZ students studying for the ministry at the United Theological College in Zimbabwe. Second priority is to use the distributions to support their ministerial students studying in other institutions of theological education in Africa. The object of this scholarship scheme is to establish scholarships at postgraduate level in the University of Cambridge for the benefit of students from Zimbabwe. The Scholarships are open to citizens of Zimbabwe, normally under the age of 35 and normally resident in Zimbabwe, who already have, or expect to obtain before 1 October 2008, a first class or high second class degree or its equivalent from a recognised University. provides scholarships to students who wish to pursue a postgraduate degree (mainly Master’s degrees of one or two years) in either the United Kingdom or South Africa. is addressed to post-graduates and to academics who already gained professional experience and who are interested in postgraduate studies (or research stays) in Germany. This program is administered by regional partner committees, staffed by university professors and church representatives. Normally documents are submitted to the committee of the applicant’s home country. A Rhodes Scholarship is tenable at the University of Oxford. After election to a Scholarship the successful candidate has still, however, to obtain admission to the University of Oxford and one of its constituent Colleges. There is no guarantee of a place and the award of the Scholarship is not confirmed by the Rhodes Trustees until the Scholarelect has obtained such admission. The Scholarship once confirmed may be held for one or, more normally, two years and may, at the discretion of the Trustees be extended for a third year. The Allan and Nesta Ferguson Charitable Trust – African Scholarship. The scholarship is open to all successful applicants on the Sloan Fellowship who are African nationals and reside in Africa. The Beit Trust offers annually a small number of Scholarships abroad for postgraduate studies or research to graduates who are domiciled in Malawi, Zambia or Zimbabwe (the beneficial area). Scholarships are taken up at a university in the United Kingdom, Ireland or South Africa, for study in a subject of the individual’s choice appropriate to the needs of the beneficial area. The Crosby Scholarship Fund for Theological Education in Zimbabwe provides an opportunity for donors to make contributions to a permanent fund that will allow the United Church of Christ in Zimbabwe to grant scholarship support for students studying for the ministry. The principal of the Crosby Scholarship Fund is invested and 100 percent of the distributions from the Crosby Scholarship Fund will be disbursed to the United Church of Christ in Zimbabwe. To provide a source of financial assistance for Zimbabwean exiles in the UK who wish to pursue professional development courses or vocational training that will equip them to participate in rebuilding the economy and institutions of Zimbabwe when circumstances allow them to return home. TOP 10 Graduate Scholarship – Looking for the best scholarships offered for Graduate study. Here’s our TOP 10 list of best choices. My name is Elliot Itai Muzanenhamo. I have just finished Advanced level (Biology, chemistry and mathematics) . I hope to get at least 13 points. I have an interest in medicine and l hope your organisation will assist me in securing a fully funded scholarship. My father is late and my mother is unemployed so I have no one who can assist me to further my education. At O’ level I had 6 As and 3Bs. My name is Rachel Mashiri and I am a teacher who wishes to pursue a masters of Social Science in child and family with Africa University . I hope you will be able to assist me achieve my dream. My name is Tendai Mandaza and am currently employed as a teacher. I wish to pursue masters in Language and Literature but I am financially challenged hence my S.O.S. for a scholarship either in Zimbabwe or abroad. I hope you will be able to assist. My name is Shiri Sekai aged 36.l am looking for a scholarship to further study l want to go for a Bsc Agribusiness at Solusi University on block release.l cant afford to pay the rewuired amounts of fees needed. Hie , i’m Sipho Hungwe . I’m looking for a scholarship .I’d like to study Law ,Gender studies or even Human Rights management. Greetings to you all. I’m a Zimbabwean residing in South Africa in persuit of LLB. My name is Innocent and will highly appreciate if you can help me with or link me to some scholar funding. Cell +27 743 601 860/ +27 763 018 466. Waiting hopefully to hear from you. Hi im Brighton Moyo i live in Glen view 1 Harare.I am looking for a scholarship since my guardian can no longer cater for university fees.I kindly appreciate any help in any form. Contact me at 0773 005 452. Hi! Am Tracy nyamukangarira looking for a scholarship .Am leaning at Victoria High School. hie im currently doing animal science at bindura university doing animal science, im looking for funding to complete my degree im now in a third year looking for attachment please assist me. ngaakudzwec@gmail.com. 0782167793. Halo im Alexander Matanda aged 19.Im doing my lower 5 but im in need of your helping hand as far as concerned University level.Im appealing for chances to get a scholarship anytime from you. I am looking for a scholarship to sponsor Josphine Tsime.She is a 9 year old girl doing grade 5 at Holy Rosery Primary School..She is performing excellently in her academics bt i am failing to meet the requirements to sponsor her education because i hardly have any source of income..Therefore i am hereby begging for your support such that she can continue with her education. Anyone who can provide more info. Thank you in advance. I am dorothy sengweni aged 17.i am lioking for a schorlaship to pursue a barchelors degree in mining engeneering.i wrote my ALevel in june 2subjects and i got 10points.GeographyA and HistoryA. Im Perfect Shumba aged 23.Im looking for a scholarship to persue with my studies. I obtained 1A 4Bs and 3Cs at o’level in 2013. And 11points at A’ level business studies B Geography B and Economics C in 2015.